The fine folks at WOUNDED BIRD RECORDS have been reissuing great titles over the years, from Jazz to R&B, Country to Rock. Their releases are not genre-specific: they release what the people ask for (so please visit their website HERE and send them some requests....tell them SPAZ sent you!). While I can search their site and drool over all of their reissues, I've got to budget my money and buy things that mean the most to me. Once I win the lottery, then the sky is the limit! Now, perhaps I should actually play the lottery, huh? Many of you know that my interest in music is wide-ranging, yet my most favoritest (yes, favoritest) music comes from the '80s. Power Pop, New Wave, Synth Pop, Punk, Post-Punk, etc. I was not too keen on the hairstyles and fashions, but the music really helped me get through my teens and early 20s... and my 30s and my 40s! So, when Wounded Bird releases '80s stuff, I stand up and cheer! And I run around the room and shimmy a little bit, too! Here are a handful of their most recent releases that I've clung to ever since they reached my hands... and these are all highly recommended to you folks in need of a great '80s Pop fix. But don't limit yourself: it's not just about the era it came from, it's about the music! And I am all about the music! P.S. And for those of you who think that Wounded Bird do only straight reissues without any of the frills, you better start paying attention. Yes, many of them have been straight reissues, but there are more and more 'frills' being added when they can get ahold of them (just check out the Until December and Sinceros titles below)! For soundbytes/videos, scroll to the bottom of this blog post! 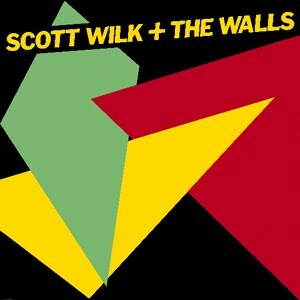 OK, let's be honest: Scott Wilk & The Walls' self-titled debut album would NOT have existed if Elvis Costello & The Attractions had not made such an impact. This 1980 album was SO influenced by the sound of EC and his mates that it's scary. When KROQ started playing tracks from this album some 30 years ago, even the listeners thought it was new EC material (and this was when EC was far more prolific). But, with that being said, this is one heck of a fun album. It has the New Wave energy, the hooks and the Pop gems that are still wonderful to listen to today. "Radioactive" and "Suspicion" are pure gold, quirky and catchy as sin. The real diamond here is "Danger Becomes Apparent", a wonderfully melodic tune that always made my mixtapes 30 years ago and turned my friends onto this band. While not a GREAT album, it's appearance on CD here, three decades after it's release, is more than welcome. 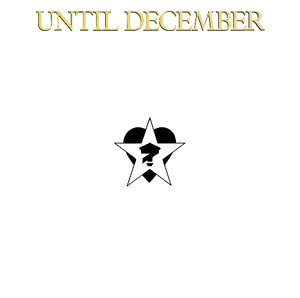 While I only took a fleeting interest in Until December when they first arrived on the scene in 1985, their self-titled album from the following year was pretty damn impressive. Mixing Disco, New Wave, Synth Pop and a light dose of Goth, Until December took the Dance and Electro grooves that the Brits were so good at and created a unique hybrid of Dance and Rock. While they only released one album, they actually had quite a few remixes released on 12" singles over the year or two they were active. This double disc set combines the album with those remixes, making it a complete Until December package and one that is worth every bit of your time. If you loved New Order, Comsat Angels, Danse Society, Bauhaus, Dead Or Alive and other like-minded bands, then this is an absolutely perfect addition to your collection. While I'm not particularly fond of their cover of Blondie's "Call Me", that's OK because I'm not fond of the original anyway! So, the album plus the remixes and a few single edits....it's all here. So what are you waiting for? With Post-Punk band Random Hold a thing of the past, band member David Ferguson formed this duo, releasing this self-titled album in 1983. 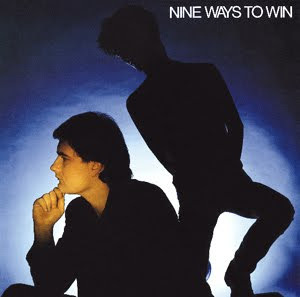 While Synth duos were all the rage (Soft Cell, Blancmange, Naked Eyes, etc), Nine Ways To Win were a bit left of center. Sure, their songs were great, but the album straddled the line between commercial pop and post-punk artiness. This split personality kept them off the upper reaches of the charts yet the album has stood the test of time over the years. Yes, it is all very '80s, but the album's arty heart has ensured that the album stands up many years later. Play this next to any of the modern '80s-influenced bands and you'll see that Nine Ways To Win were worthy of more than obscurity and actually got it right the first time around. It's a bright, luminescent light with a few dark shades that never obscure the melodic core of the album. Very worthy of critical reappraisal and your total devotion. There are many great lost albums of the New Wave era, but The Sinceros' sophomore album, Pet Rock , remains one of the finest examples of British Power Pop and ranks right alongside top albums by Squeeze, The Records and a host of other great melodic acts of the era. When the band released their debut album, The Sound Of Sunbathing, they were a quirky New Wave band with some great tunes (read my review of the album HERE). 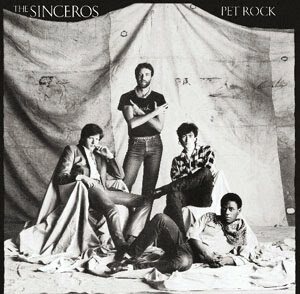 But by the time Pet Rock was released in 1981, they had become a cohesive and mature Pop outfit. All the quirks were gone and the only thing left to concentrate on were the great tunes. And this album is solid from start to finish. If Squeeze had released an album between Cool For Cats and Argy Bargy, then it would have sounded a lot like this. Great tunes, great vocals, great arrangements. From "Disappearing" and "Barcelona" to "Girl I Realize" and "Falling In And Out Of Love", this is one of the most perfect Power Pop albums of it's time.... and possibly of all time. As an added bonus, Wounded Bird has added the entirety of their unreleased album 2nd Debut , which was an early rejected version of what became Pet Rock . There are some original versions of songs that made the official album and a handful of tracks that didn't. There's also a few non-album b-sides added... and the extended mix of "Take Me To Your Leader" (from the first album). This is an absolute MUST HAVE for anyone who loves Power Pop, New Wave and the '80s.